Module SJ Grid Slider for K2 comes with the ability of displaying K2 entries in a smooth motion of slide. This guide will help you install SJ Grid Slider for K2 step by step. 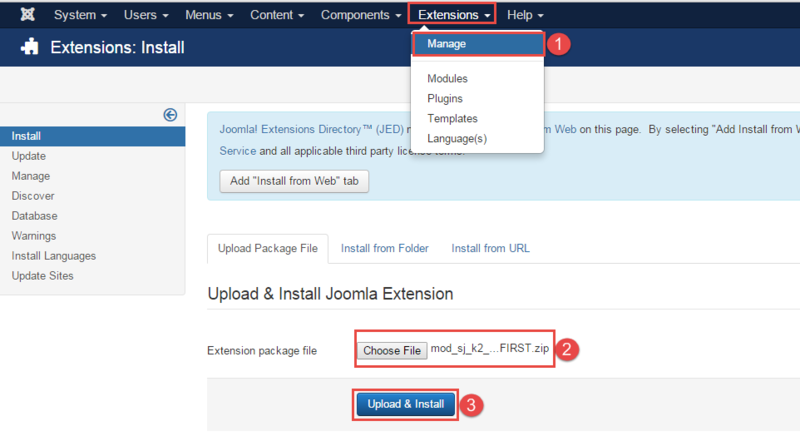 After installing, go to Extension -> Module Manager and find SJ Grid Slider for K2 to configure. 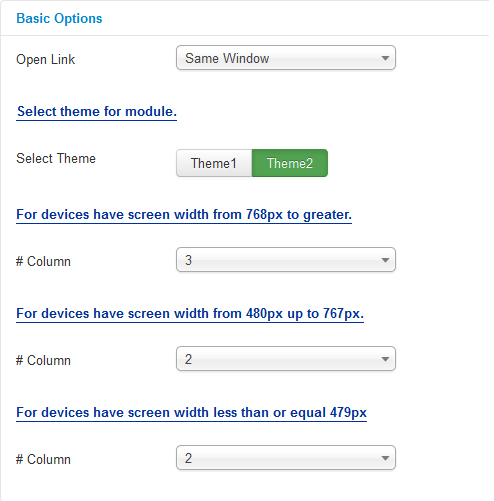 Select Theme – Select Theme – Allow to select theme for the module. #Column – Allow to set the number of column for each screen resolution. 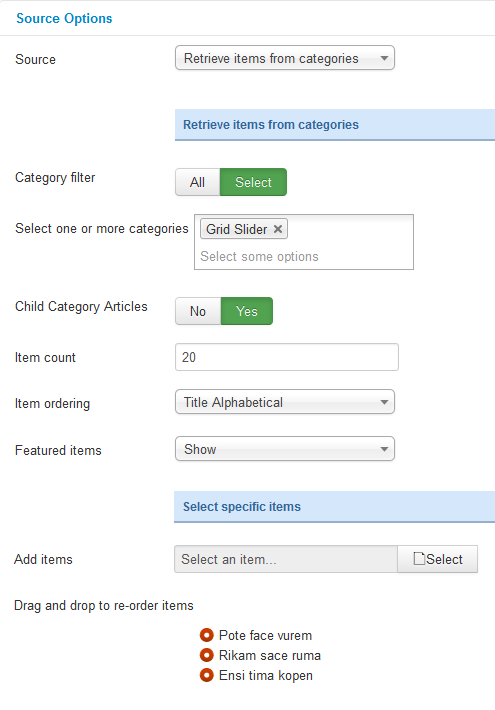 Category filter – : allow to select one or all category in component. Select one or more categories – Choose the category which you want to show in this module. Child Category Articles – Allow to choose children categories OR not. Item count – Allow to select the number of items to display. Set “0” to display all items. Item Ordering – Allow to sort order by Title Alphabetical, ect. Featured item – Allow to show/hide or show only featured item. Add item – Add item – Allow to choose items from item list in K2 component. Drag and drop to re-oder item – Allow to drag and drop to re-oder item. Display Counts Comments – Allow to show the number of K2 comment or Not. 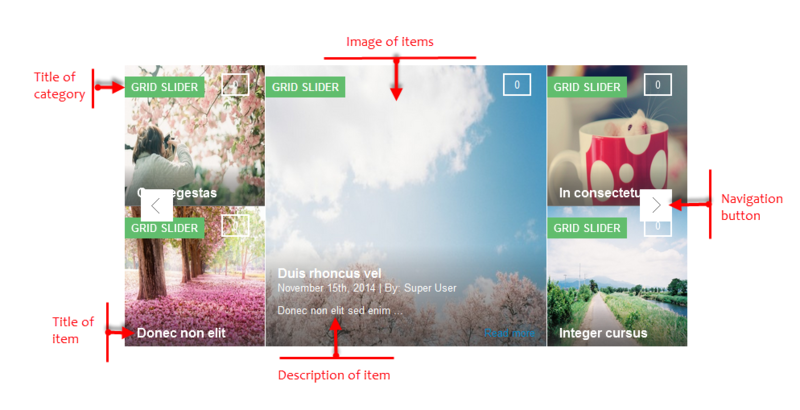 Display Post by – Allow to show the author of items. Display Created – Allow to display created date of item OR not. Tags Display – Allow to show/hide item’s tags OR not. Display Readmore Link – Allow to show/hide link for readmore. Display Category Title – Allow to display category title in item’s image OR not. 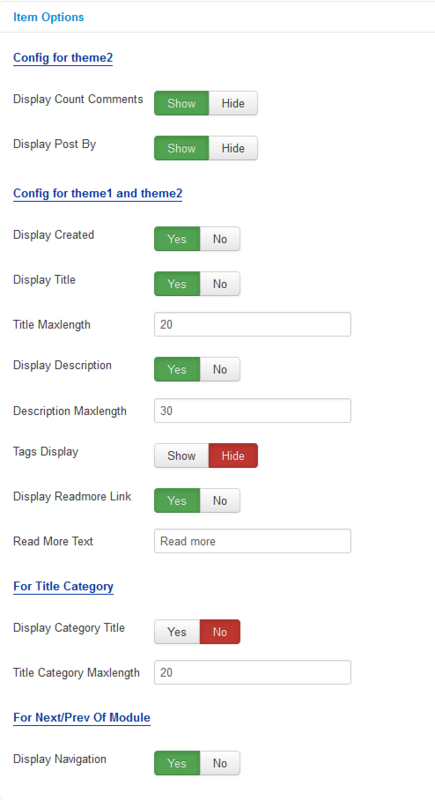 Title Category Maxlength – Allow to set the maxlength for category title . Display Navigation – Allow to display navigation button OR not. Get images from K2 Image. K2 Image – Allow get image from K2 component or Not..
K2 Image Size – Allow to choose image size in combobox. Inline Introtext – Allow to show/hide image of item. Inline Fulltext – Allow to show/hide image of item. Width – Allow to set width of image for class one item. Height – Allow to set height of image for class one item. Effect – Allow to select effect of slider in this listbox. Auto Play – Allow to set for slider auto play OR not. Stop when hover – Allow slider effect stop when hover OR not. 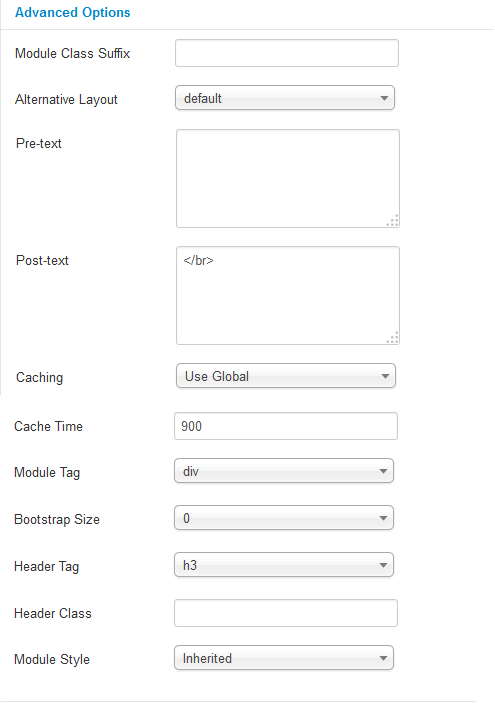 Pagination Speed – Allow to set pagination speed of slider with unit of milisecond. Rewind Speed – Allow to set rewind speed of slider with unit of milisecond. 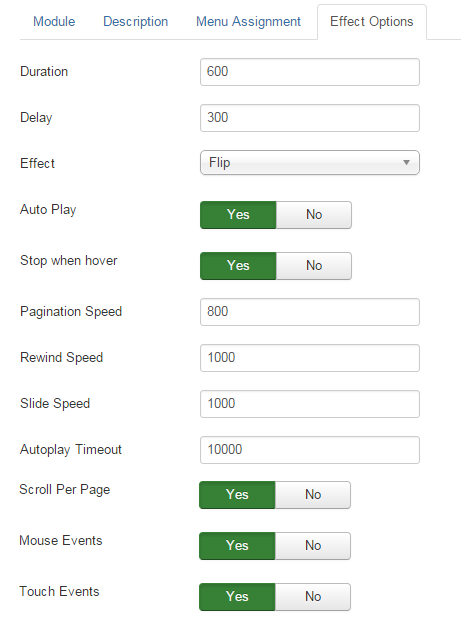 Slide Speed – Allow to set slide speed of slider with unit of milisecond. Autoplay Timeout – Allow to set Autoplay Timeout speed in milisecond. Scroll Per Page – Allow to run scroll per page OR not. This affect navigation button and mouse/touch draggeing. Mouse Events – Allow to run mouse events of slide OR not. Touch Events – Allow to run touch events of slide OR not.